Dino Melaye has alleged there is a plan by the police to kill him. 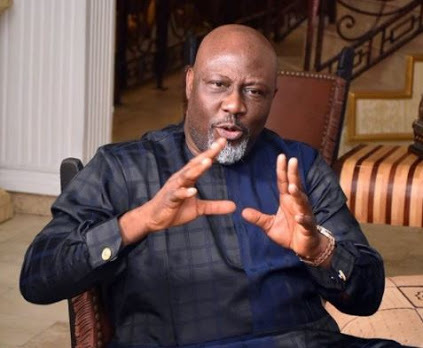 Making the fresh allegation via social media on Monday, Melaye said the police and Kogi government “want to forcefully take me to Lokoja and kill me afterwards”. Who are those trying to kill Dino? The senator has been having a running battle with the police. Among the cases against him currently pending in court are culpable homicide, gun running and criminal conspiracy. Recently, the senator’s relative raised an alarm that he was kidnapped on his way to a court in Kogi regarding one of the cases. In the tweets, the senator described as ludicrous claims the purported kidnap was fabricated. He wrote: “Nigerian police working with Kogi state government in trying to frame me up again with culpable homicide and illegal possession of fire arm. “This is going to be the 6th arraignment of police against me. They want to forcefully take me to Lokoja and kill me afterwards.